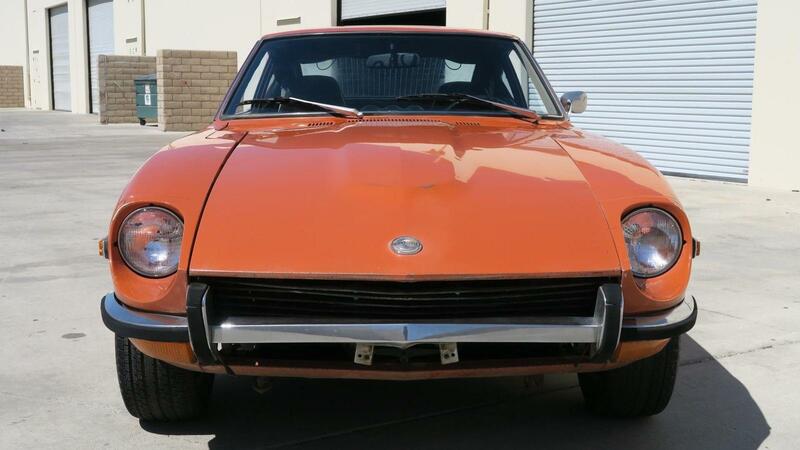 '71 240Z on eBay with its Original Paint? Anxious to see what it brings. Very similar to mine but one year older. 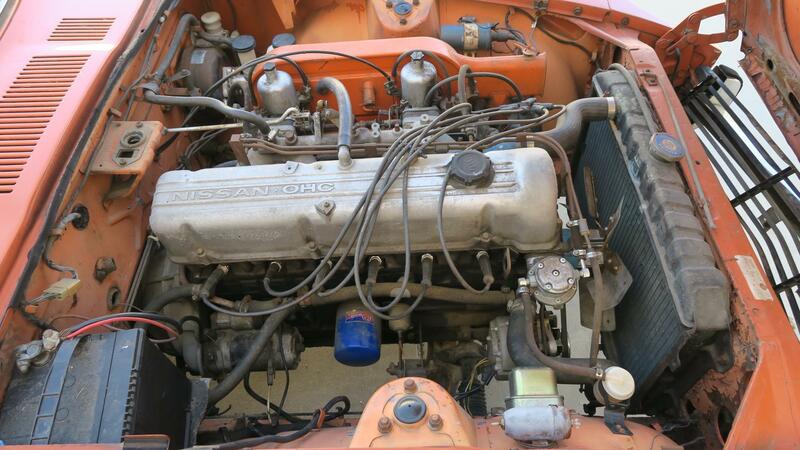 Built the same month as mine and has a VIN about 1,100 earlier. I see a few Zs around town, but haven't seen that one, North Palm Springs is a quirkier place than Palm Springs proper, so. as a buyer, I would ask lots of questions.. I wonder what happened to the chrome trim on the rear heated glass seal and the cargo tie down straps.on the rear deck. Since you live in the area, if any members here on Classiczcars are interested in making a "Best Offer" on the car, would you be willing to contact the seller and take a look at the car for them? Sure, no problem. How many of the 32,992 forum members could possibly be interested? Since I'm sure there are at least 30 or 40 tire kickers on the forum and the temperature in Palm Springs is going to be well over 100º every day this week, some ground rules. Sounds reasonable to me. 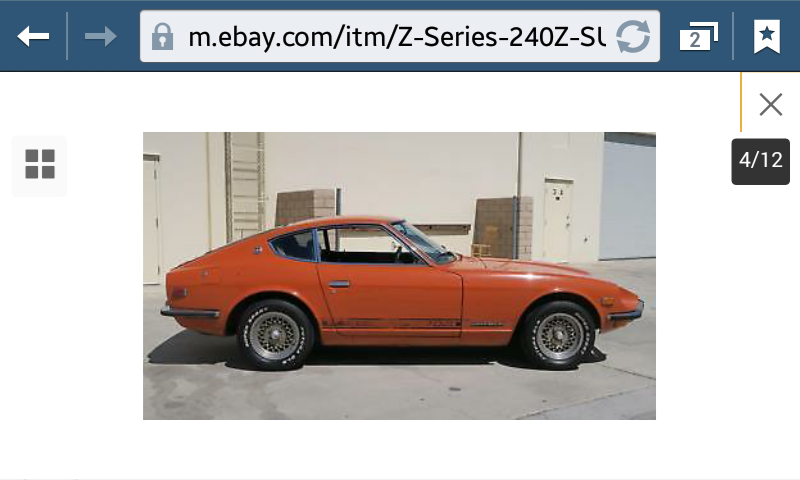 Hopefully, only serious members who are dying to find a solid 240Z with its original coat of paint and are willing to pay the price for one will come forward. What do you think this one is worth? $4000.00 + or - a few Pesos. Seriously, JSM? 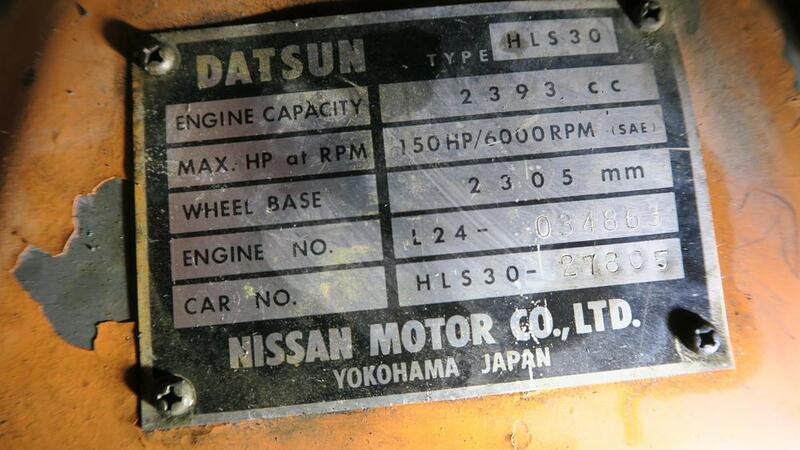 You obviously haven't kept up with 240Z values. I'm really doubting that is the original paint. The engine bay paint is really flat and peeling while the exterior is darker and relatively glossy. Look at the difference between the firewall and the cowl area and the amount of peeling paint at the bottom of the inside of the hood and the radiator support. Also what is going on under the battery? That was a joke, more on the LFA. I don’t know without looking person, but the modern chemical waxes can do a lot to old paint. You can tell the car was detailed around all the emblems as it was missed and can see the flatness of the missed paint. Also in some shots you can see the flaws in the paint which look original to me. 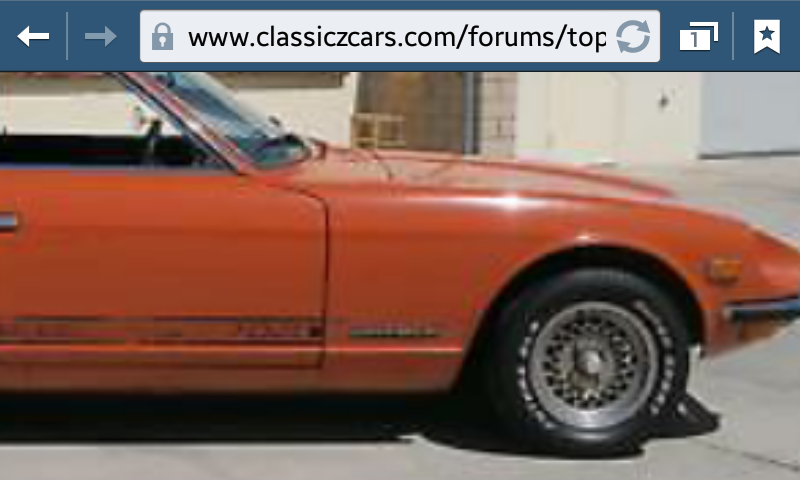 Id be curious how to get the 240z stickers off the bottom. Talk about a project! It does look like it was gone over a buffer and buffing compound. That can quickly cut through the top oxidized surface. It really could be the original paint. You can usually find evidence of overspray some where, but I really did not see any. My signature photos below show a good before and after cut and buff of the original single stage paint. The one on the left is the before, then the right one is after. Made a huge difference in person, the pictures don't show the difference that well. I removed all my emblems before the work was done and he taped off the rocker stripes. Charged about $200 IIRC. Sorry, Jeff. I was reading your comment on my phone last night and I thought you were talking about the subject '71 240Z , as the picture of the beautiful white sports car did not load on my phone for some reason. I see the joke, now! I requested more pics and received them. I have no reason to believe that this is not the original paint. A survivor such as this is semi-rare, but the truth of the matter is it will need to be restored and restoration is very expensive. With the current price of restored examples it would be hard to justify paying the 20K with the cost of a full restoration being added to the investment. Members seem to be shocked with some of the prices, but as I have stated in the past until the restored examples of Series 1 and Series 2 cars are bring substantially more it is impossible to pay 20K for a survivor needing a complete restoration. Just my opinion and I am sure there will be many more to follow this post. Does the spacing around the passenger's front quarter look a little odd to anyone else? Maybe it's just the camera/photo? I would keep the original paint and thoroughly clean the car inside and out. 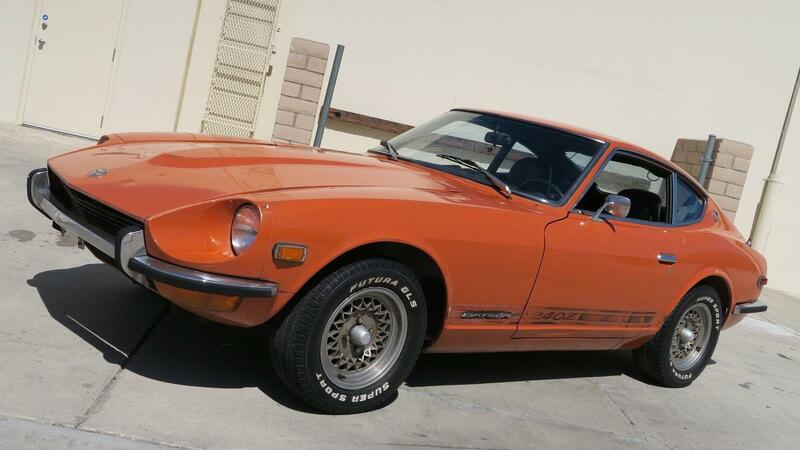 I would then have a pro adjust the passenger door/ right front fender fit issues, remove the glue from the black 240Z stripes on both side, have paintless dent repair done, buff-out the paint, replace the front bumper and hood emblem with good used ones. 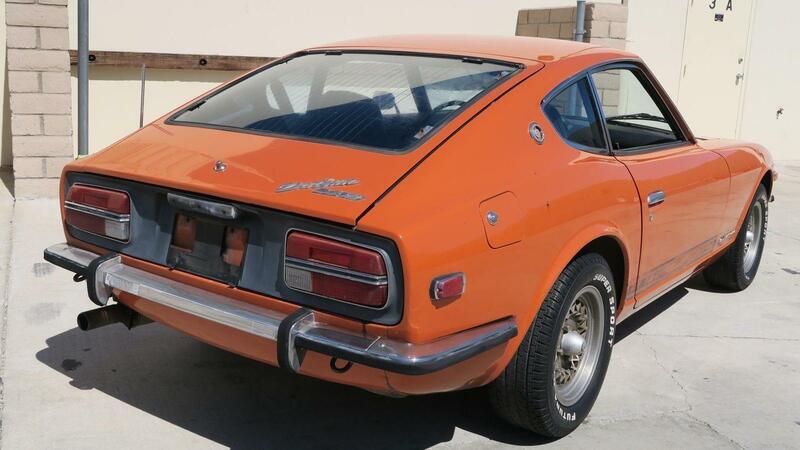 Series I and II 240Zs with original paint are just too hard to find and that is the very reason that the seller is asking $20k or best offer for the car. Interesting perspective, but it will be hard to stop the deterioration. Just the two photos sent to me show that the battery tray is half rusted away and the bottom of the doors are in need of attention. If this were a solid survivor I would agree with your take on original paint survivors. 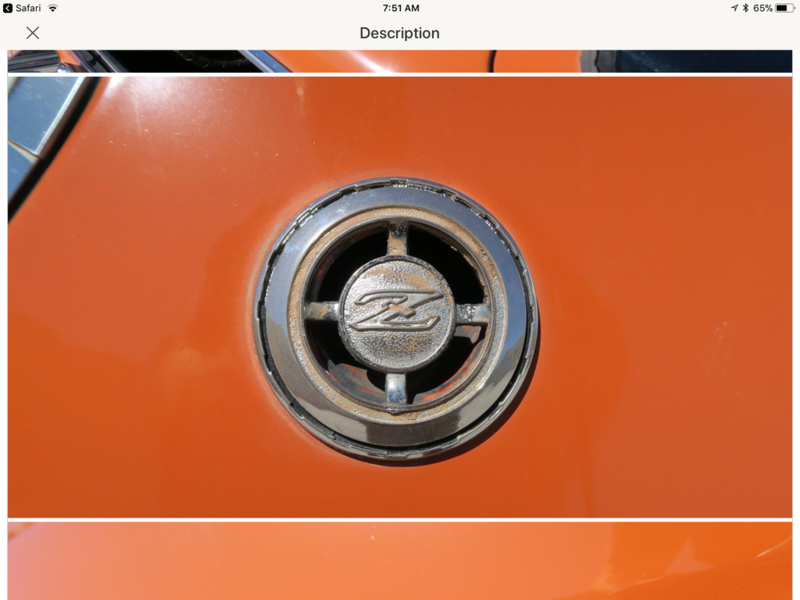 I believe that it would be fair to equate the two photos to the common rust problems with the Z and assume those areas are in need of attention as well. Thanks for posting the 2 pictures, Jerry. 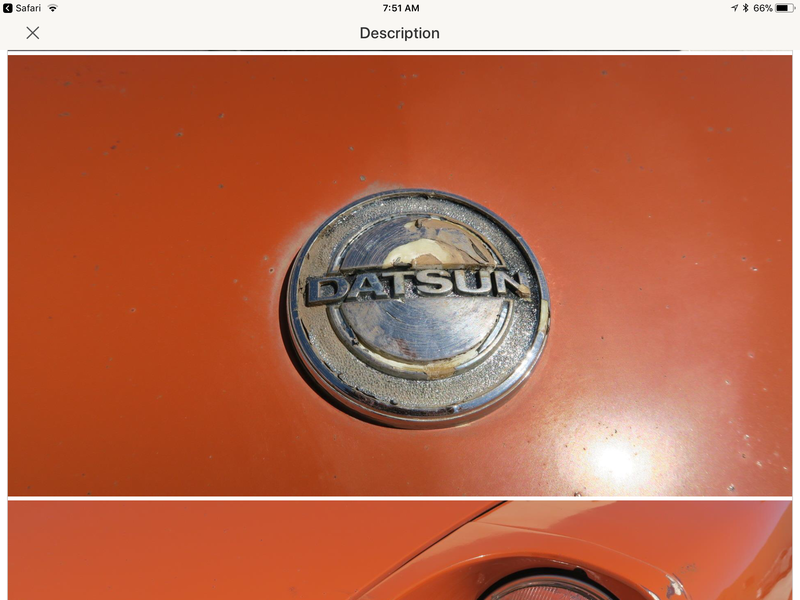 You make a good point about this car, it may have its original paint, but it's not a solid survivor and the multiple rust issues have to be addressed. It's a shame about the issues, but it is still a good candidate for a full restoration. I wish someone would reproduce the stampings for the battery tray area! 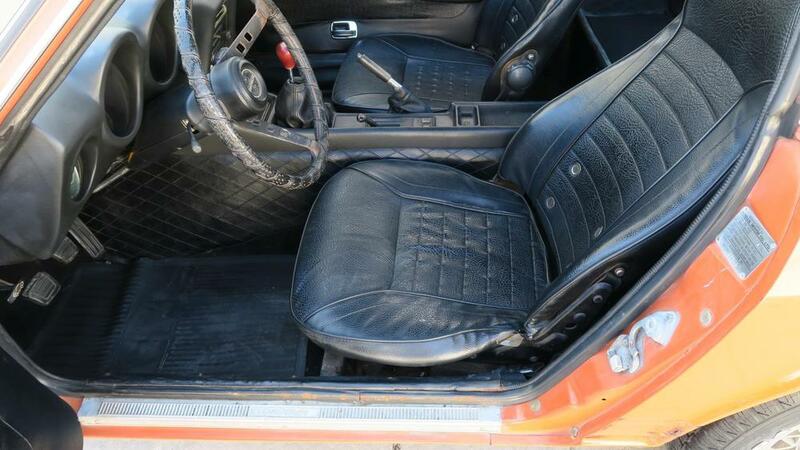 Is a Z with original paint in flawless condition worth more that a high quality re-spray?